InSanity lurks Inside: Breaking News- Busch Gardens Williamsburg has to CANCEL "Mix It Up"? 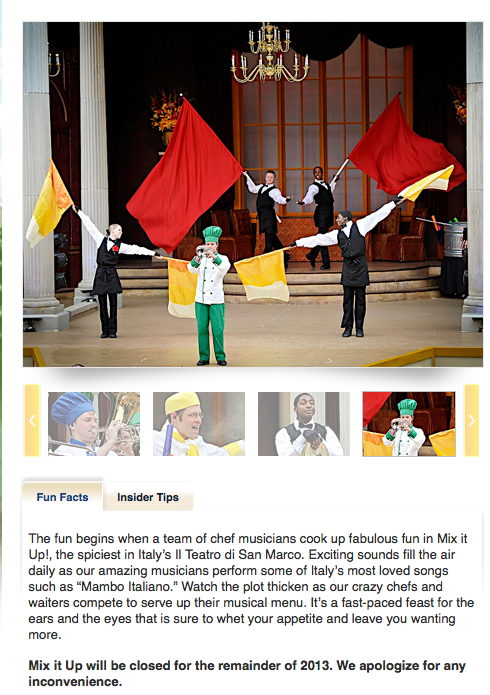 Breaking News- Busch Gardens Williamsburg has to CANCEL "Mix It Up"? Today BGW Fans has reported that musicians have walked from the "Mix It Up" show which puts the "Dig It Up" Howl-O-Scream show in major jeopardy. Rumor has it that the show has been completely cancelled for the 2013 season and 2014 is now in question. This is yet another issue with their entertainment director, Scott has caused yet another problem for the park. According to the owner of BGW Fans, one major player was fired on the spot. Due to this many other folks just walked out. To follow this up, the "Italian Ensemble" which has a show in "Italy" of Busch Gardens Willimasburg has also lost their lead female singer. BGW Fans is one of the most reliable sources for information coming from Busch Gardens Williamsburg, they aren't know for posting anything that isn't concrete. They have my up-most respect. What in the hell is going on?! We don't know but we have intention of finding out and reporting back!